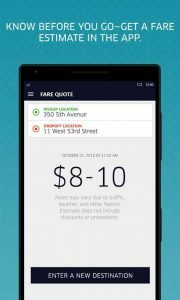 Windows 10 Mobile is a dead end mobile OS, that much is clear considering all the major apps that have lost support on the OS over the last year, but now it looks like the taxi company Uber is not giving support to the Windows 10 platform altogether. Slowly and silently ending support for Windows 10 Mobile OS may make sense, but not for Windows 10 OS considering the number of Windows 10 tablets and PC’s. The news was covered by MSPoweruser. And it should be noted that if you have a Windows 10 phone or an older OS, you will still be able to order a Uber taxi through Uber’s website on your phone, so all is not lost. But things are not all that great on Macs either. Ubergizmo reported today that Twitter is actually ending support for the Twitter for Mac app in the middle of March. We’ll see how this plays out, but Apple Mac’s being treated as has-beens in this way is not a small move by Twitter.